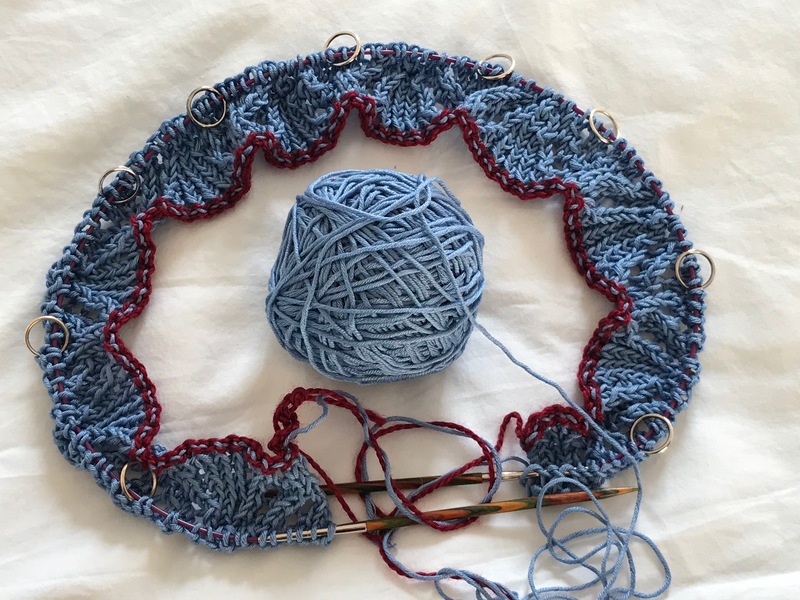 It is a while since I last wrote about anything woolly, so I thought I would do a bit of a round up of my recent knitting adventures. 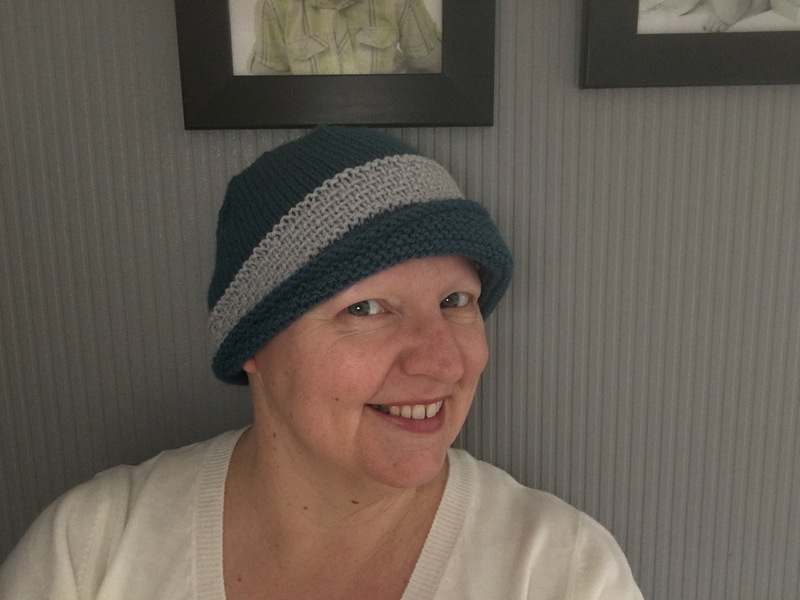 The red hat is The Yarniad’s Nola Cloche pattern. 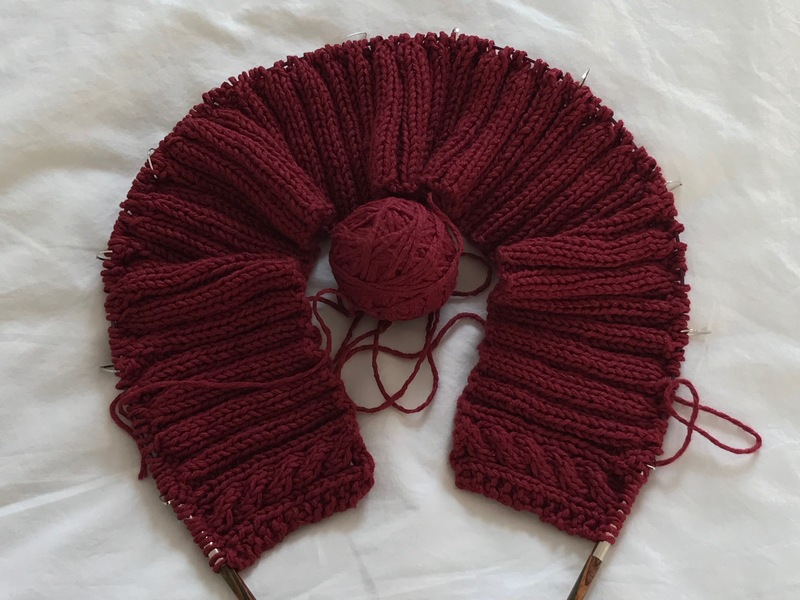 I have had this beautiful red marl yarn for years – so long in fact that I have lost the yarn collar with all the details, but I know it was from the Woolen Rabbit. It was great finally to be able to use it to make this fun period piece. I was also able to make these fingerless mittens with some left-over WYS yarn from the Leventry project. Rachel wanted some mittens with a longer wrist section. This Purl Soho pattern was perfect, as well as being wonderfully simple! It took me most of last year, with plenty of knitting progress made while we were on holiday in September. But it was exceptionally pleasing to work on – complicated enough to hold plenty of interest, while also being rhythmic and fairly easy to remember. This meant that I did not have to undergo too much in the way of mental gymnastics while working on it – always a bonus! And finally, here’s a picture of a small collar being blocked. This was another ball of yarn from the bottom of my stash, also from the Woolen Rabbit. I had always been hesitant about knitting it up because it seemed too nice to use!! Anyway, I needed some knitting to take away with my on our Paris trip last autumn. So I grabbed this yarn and a copy of VeryBusyMonkey’s Geology Shawl. 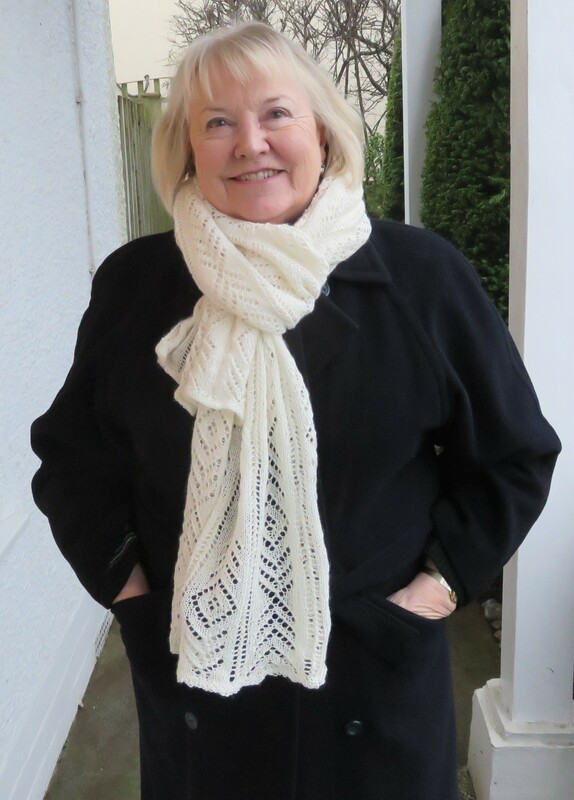 I have to say this was one of my favourite knits ever – and I have done a LOT of knitting over the years! The pattern is extremely well constructed and explained. There are a number of interesting stitch patterns, which emerge gradually as you work through the pattern (click on the image for a closer look). I am delighted with the result. So what now, you may ask. 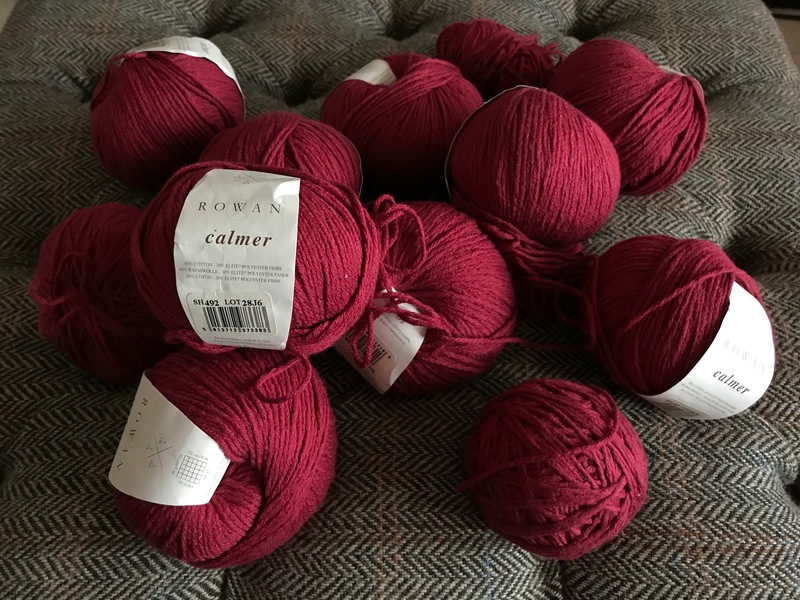 I have become increasingly frustrated with this stash of Rowan Calmer yarn, which I bought years ago for a crochet project that I changed my mind about. I have since tried to use it for various different patterns, always feeling rather dissatisfied with the results. I decided to give it one last go before passing it on. And although it is early days, I have a good feeling about this pattern. 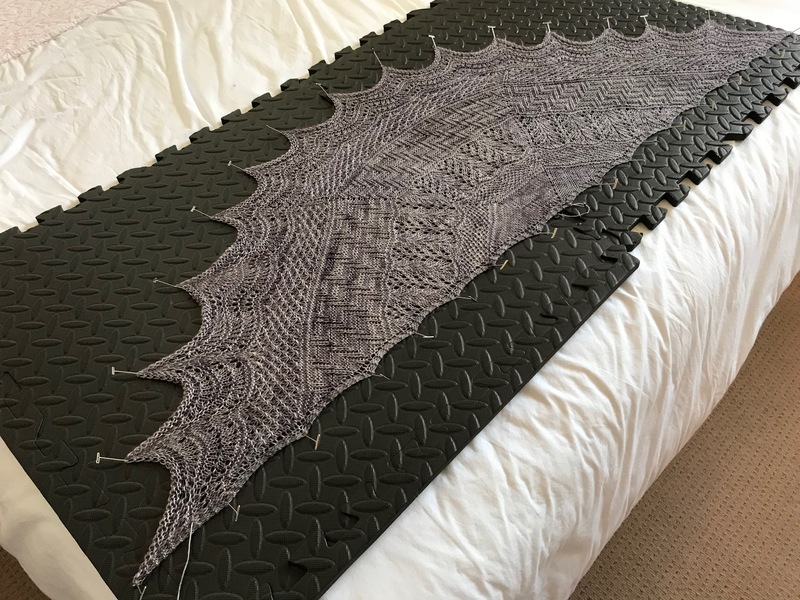 It is a Brooklyn Tweed throw called hourglass. So there you have it. I must confess to being quite chuffed with all of this and look forward to sharing another update with you in due course. 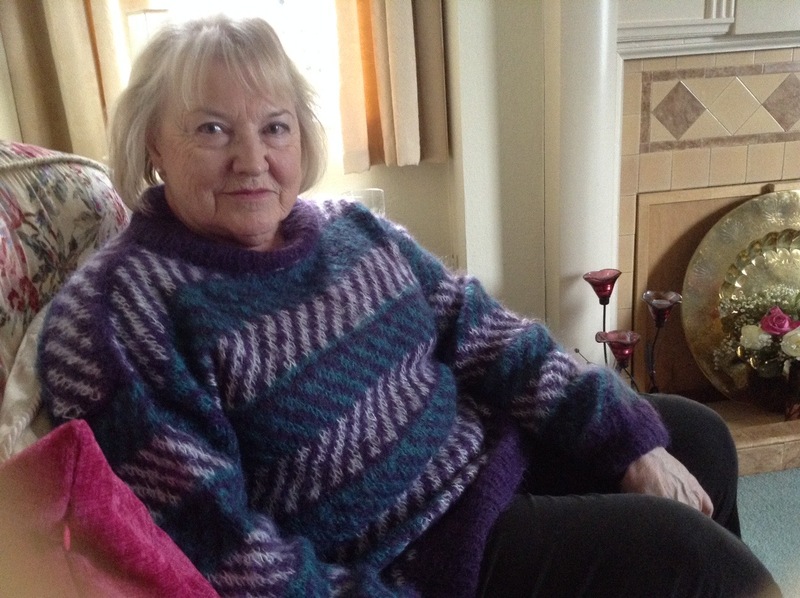 Meanwhile, here’s a final picture of my Mum, this time nice and cosy in a jumper I knitted possibly about 30 years ago!! 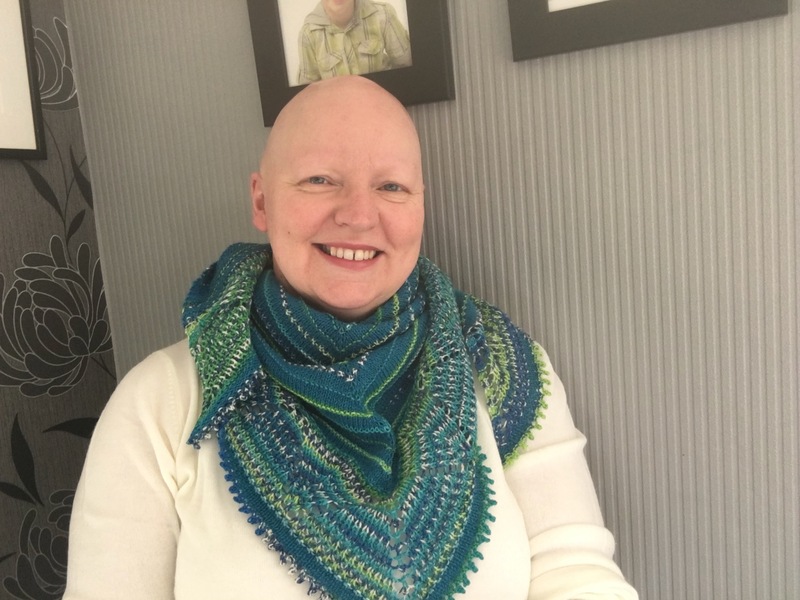 This entry was posted in Knitting & Crochet and tagged alopecia universalis, cotton, hat mittens, knitting, Ravelry, Rowan, shawl, West Yorkshire Spinners, wooden rabbit, yarn. Bookmark the permalink. I love the dual color of that second hat. Very pretty. I used to knit long ago. Crochet too. I’d love to get back to it, but it seems there are so many other things to fill my downtime with now. Maybe some day. Wow , everything is so pretty. 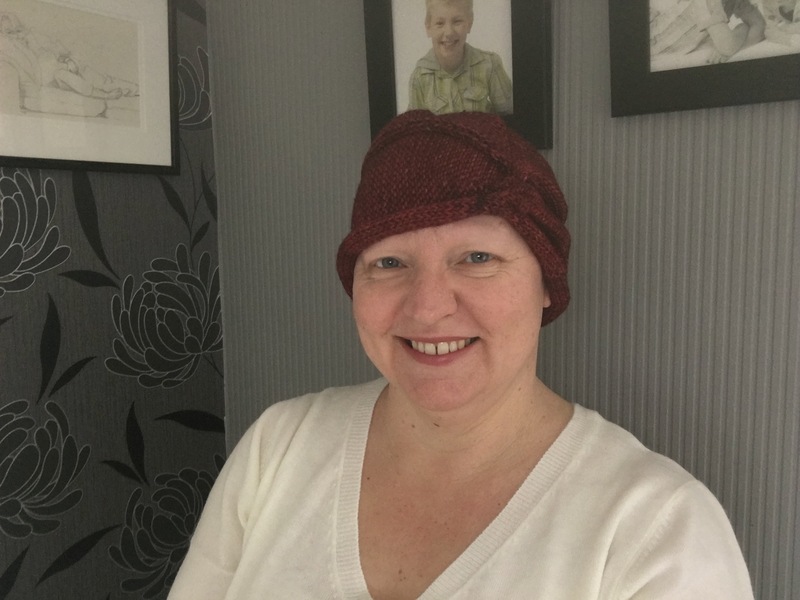 You are a wonderful knitter, brilliant hats and scarves. Love them all. And your mum still wears your jumper from such a long time ago. Fantastic. Really beautiful on beautiful models too! 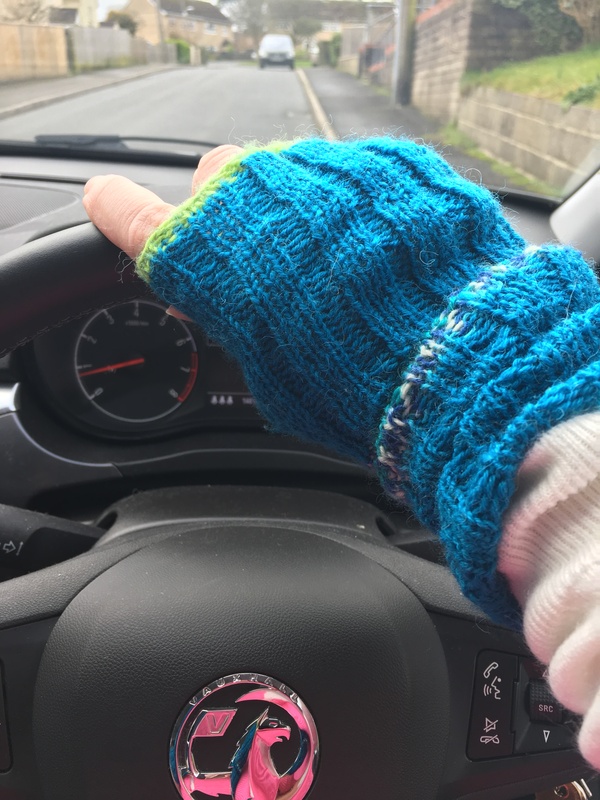 I made loads of the fingerless mittens as I love them longer on the wrist. I also gave some away. I got my self now 2 pairs left which I use regularly! ♥ hugs ♥ thank you so much Liz! Agree with you Utesmile. This is the same thing i thought reading this post. and thanks to LIZ providing this blog and updating. Thanks again. Beautiful work Liz and charming models! So many lovely things and what beautiful models you found! My mother came to lunch on Christmas Day wearing a shawl I had knitted for her about thirty years ago too! It is looking a little tired now (but then so am I!) but I am so proud she still uses it. Like Carrie, I’d love to knit and crochet again but time and stiff hands are an issue at the moment. You really are amazing, Liz. I had a very grueling day today so coming to your wonderfully inviting space, has given me respite! Hugs and love coming your way. Your models are beautiful and show off your work to great advantage! You’ve accomplished so much and it’s fun to see it all in one place (although maybe some of us feel like slackers, by comparison!) 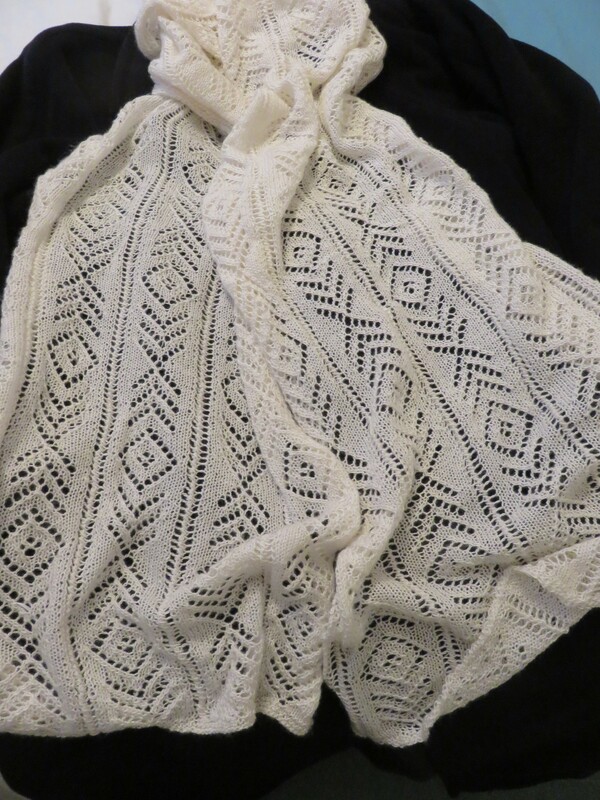 I really like the creamy lace shawl you made your mom–that suits her perfectly! My goodness you have been busy, and what lovely results. Lovely models too, and I can see some family resemblances. All so beautiful…. I don’t know what cast on waste yarn means, though?